It's the first week of October and if you didn't already know, I do a 31 day challenge every October. 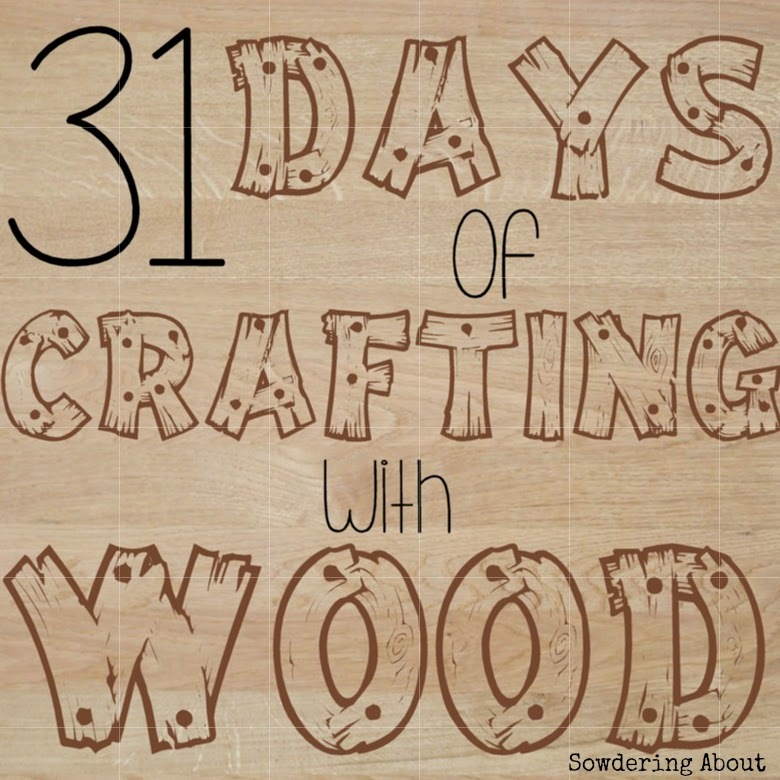 This year, I chose to do 31 days of crafting with wood! I have been doing so many different types of projects this year but crafting with wood has been my favorite! The thing I love most about this 31 day challenge is that it really helps me start to think outside the box. I mean, there are some really fun things you can craft with, but trying to come up with 31 consecutive ideas for one type of material is challenging! Last year I did 31 days of crafting with PVC pipe and that was very difficult! It's amazing though, now, looking back and seeing everything I did. It's also fun to continue to come up with fun things to do with PVC, so I know that my wood project days will continue way past just October. If you aren't already following along, you can keep up with all my projects on Pinterest! Saturday/Sunday-Not sure, my friend will be in town so we might eat out! I completely failed at taking pictures of Lucy's lunches this week. 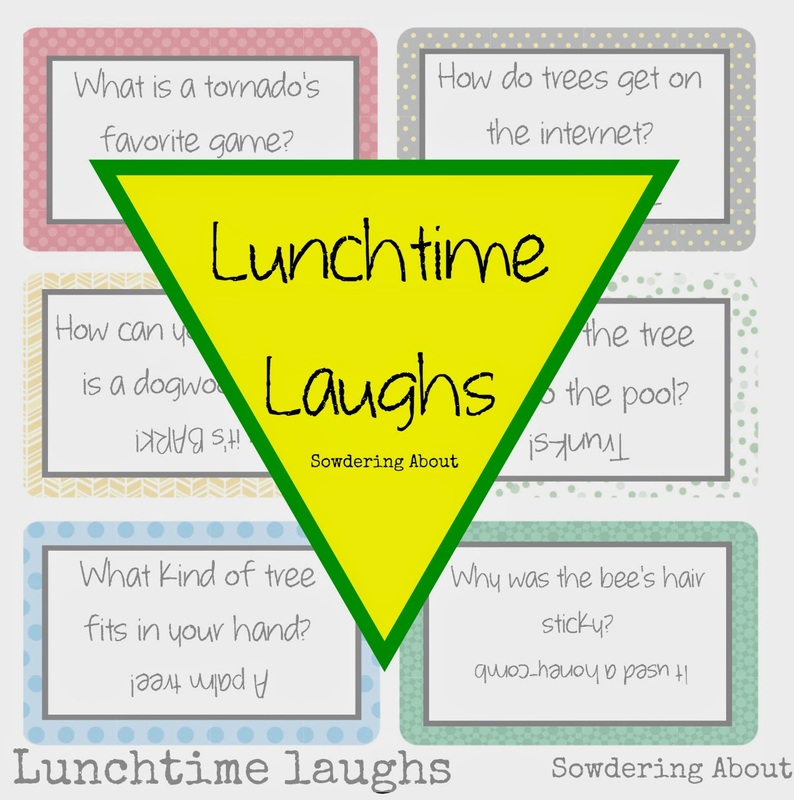 I just plain forgot...so instead you just get some free printable jokes!